Join Oprah in opening yourself to love and authentic power, through this special online course with Gary Zukav. The Awakening to Spiritual Partnership course is an extensions of Gary’s book, in which you can immerse yourself in understanding. Become grateful, appreciative, content, and patient through this process, and develop strong relationships of substance and depth with Gary’s support. New York Times best-selling author Gary Zukav (“The Seat of the Soul”), sits down with Oprah Winfrey for an all-new interview to discuss creating your authentic power this Sunday, March 20 on OWN: Oprah Winfrey Network’s “Super Soul Sunday,” airing at 11 a.m. ET/PT (check your local listings). In this encore interview, Gary talks with Oprah about choosing your intentions and how it can lift your soul, how the energy you put out into the world directly impacts what you get back, and the most important “A-HA!” lesson Oprah has learned. In her introductory Lifeclass, Oprah explains how Gary Zukav’s message of love has given her a purpose in life. In her Super Soul Sunday programs, Oprah and Gary explore how to create authentic power and spiritual partnerships. 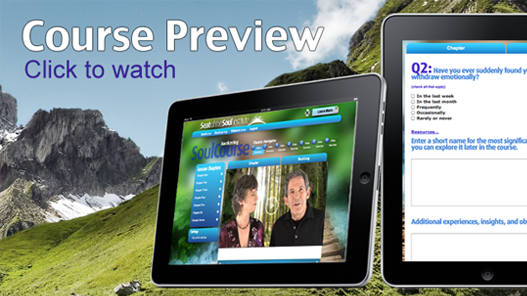 Gary would like to invite you to continue the journey you have started in Oprah’s Lifeclass through his new Awakening to Spiritual Partnership course. 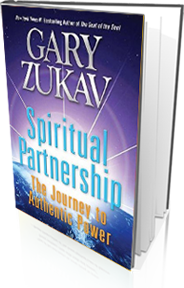 In Gary Zukav’s new Awakening to Spiritual Partnership course, Gary gives you the keys to access your own creativity and joy in life. This course provides you with the tools you need to transform your life’s challenges experiences into blissful opportunities. Through a step-by-step process, each lesson in the course engages you in building the skills you need to become the joyful creator of your own life. Learning how to reclaim your intuition so that you can create authentic power and begin to thrive.